It is 2014 and we have around 100 million mobile broadband subscriptions in India but did you know six years down the line i.e. by 2020 the country is expected to have a mobile broadband subscriber base of 600 million. This not just the one thing that is revealed by a recent report by Ericsson but that of that 600 million subscriptions 20% users will use have 4G. The report emphasizes on how government and industry is working towards making ‘Digital India’ a reality in the next six years. The most attractive information for the masses that is revealed by the report is the smartphone prices that are expected to fall by 40-50 percent over the next three years. So, now more number of people will be able to have smartphones although they always had longed for it but couldn’t manage to have due to higher prices. So, the study estimates the number of subscribers able to afford smartphones and services to reach over 700 million by 2020 as a result, which used to be 110 million in 2013. According to Ericson, there are a number of factors that are going to drive internet connectivity in India such as cheaper smartphones, the increasing number of subscribers and above all the government initiatives such as the National Optical Fiber Network (NOFN). However, to manage coverage, capacity and quality of performance for users, it is essential for the country to have heterogeneous networks including macro cell sites, small cells and Wi-Fi hotspots, at the same time. 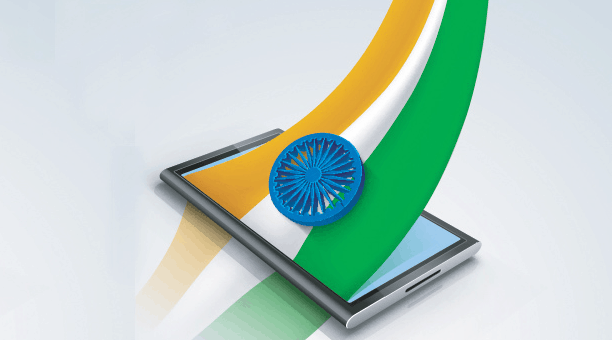 In order to take in a higher contribution from data-driven 3G and 4G service revenues in future, the collective revenue of Indian operators is expected to grow. Data revenues that are expected to rise from 10-12 % in 2013 to 35-40 % by 2020, will represent an increasing proportion of the total and the reason that accounts for this rise is the growth in data subscribers as well as usage per subscriber. Moreover, there perhaps will be long-term potential in opportunities in emerging services such as mobile banking, mobile commerce, mobile education and mobile health, for operators, regulators and other value chain players comprising device vendors, content providers and app developers are paying major attention and taking various initiatives to promote financial, education and health inclusion among the population. As per the report, there is the need of access to additional radio spectrum for not just fuelling but even sustaining mobile broadband growth in India. In fact, it is the fundamental resource essential for building efficient networks able to serve large numbers of subscribers generating large amounts of traffic.